This is your last chance for a 2019 PR! Super flat and fast closed course. The Last Call is part of the Wisconsin Chilly Willy Run Series & presented by Endurance House Delafield. Bring the kiddo's out for a Frosty 1K . It's free if a parent is running. The course starts at the EB Shurts Environmental Education Center. 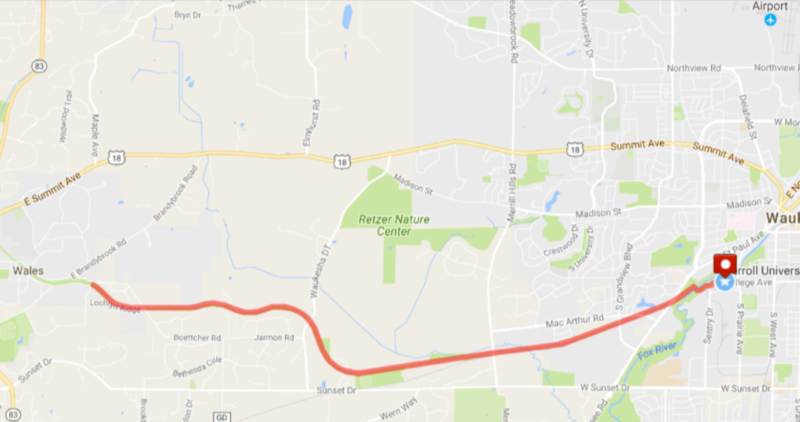 After a short distance, runners will enter the Glacial Drumlin Trail for an out and back course. The trail is wide and paved with very little elevation change. From mile 2.6 until the turn around there is a slight, gradual grade increase. Make the turn and it's all downhill from there. This is a fast out and back with nothing to slow you down!. A super fast out and back perfect for a late year PR. Run the Last Call with the best local running and training community in the area - Endurance House in Delafield. Overall Male & Female will receive Last Call plaques & flowers. Half marathon finishers receive a custom finisher medal. We will be collecting toys at the race and delivering them to the Sojourner Family Peace Center. Please consider bringing a new, unwrapped toy and we will make sure Sojourner Family Peace Center will get it. Endurance House Delafield will be providing SWAG and you will receive a raffle ticket for each toy you bring. Don't forget, Last Call is only 22 days days away from the big day and you know who is watching. MS Run the US, Inc. is dedicated to raising awareness and funds to support multiple sclerosis (MS) research, while also supporting those living with disability due to MS. Our running events focus on promoting a healthy lifestyle while inspiring individuals to maximize their capabilities and become more active to help those in need. Water and sports drinks are available on course and the finish line. Restrooms are available at start/finish and on the course. Make sure you stop in an enjoy our free fresh fruit bar and free hot chocolate bar. The shirts are gendar specific, dry wick and those registered by November 25 are guaranteed a custom race shirt. After that, shirts be available while on line supplies last. 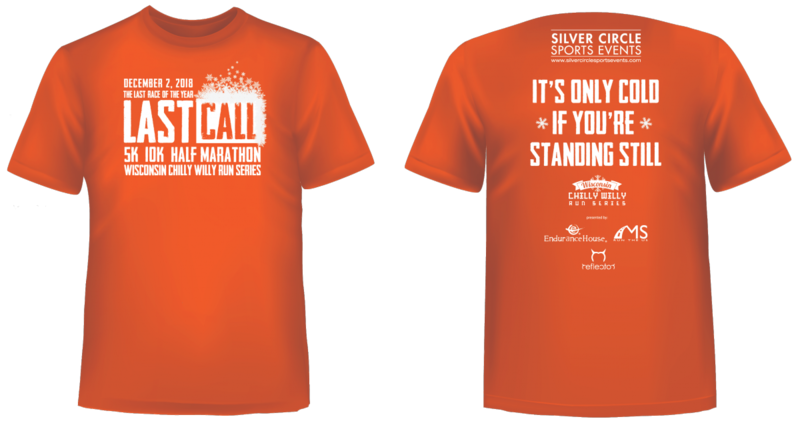 Any extra shirts will be distrubuted after the race on a first come first serve basis. The FEMALE shirts run small! 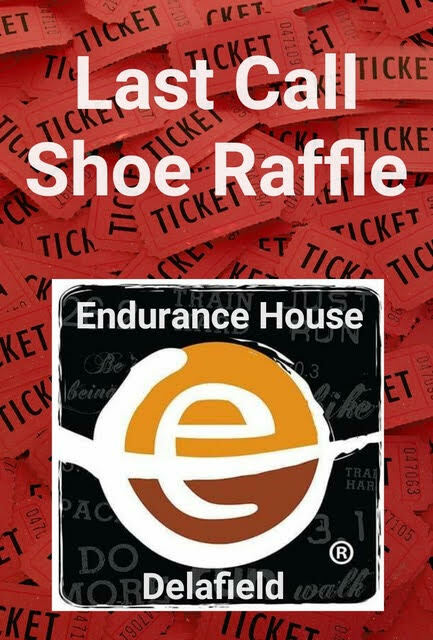 If you stop in to get your packet don't forget your raffle ticket to win a free pair of shoes to be given away race morning! Must be present to pick up your ticket and shoes. Limit one ticket per person per packet (ie. no mass pickups). At packet pickup buy one get one 30% off of any shoe / apparel combination. West College Avenue will be closed between S. Prairie Drive & Phillip Drive. Parking is available in the Saratoga Park lot and Phillip Drive.